Gloucester House can provide outreach work, including stand-alone multi-disciplinary assessments from CAMHS and educational staff. We provide specialist bespoke education and clinical packages, and/or team based consultation for children and young people identified as being at risk of permanent exclusion or with complex needs. We can also provide time limited outreach therapeutic group work to children and/or consultation/reflective practice space to staff to support them in developing and facilitating group work for children with complex needs in schools or other provisions. Gloucester House also offers consultation to schools around meeting the needs of particular children. 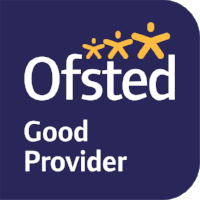 Gloucester House can work with school leaders to audit systems and implement new systems in their schools around behaviour and staff support. Gloucester House can deliver training on a range of topics within the context of social, emotional and mental health. Training packages are available to schools, local authorities, CAMHS clinics and academy clusters. We provide training for teachers (including NQTs), SENCOs, Teaching Assistants, Learning Mentors and other staff working in schools. Please contact us for further information on prices and packages.